Find the newest Albert Park/Radisson Heights homes for sale & real estate listings in East Calgary below! Albert Park/Radisson Heights is a residential community situated in the east zone of Calgary AB. To the west side of Alberta Park/Radissons Heights is Memorial Drive, Forest Lawn to the east, International Avenue to the south, Bow River and Deerfoot Trail to the north. Discover just listed Albert Park/Radisson Heights neighbourhood properties for sale now! Albert Park/Radisson Heights housing market statistics: As of April 25, 2019 there are currently 14 properties for sale in Albert Park/Radisson Heights listed as active, with an average asking price of $321,335. The highest-priced property is $550,000; the lowest priced property can be purchased for $185,000. Albert Park/Radisson Heights neighbourhood listings have an average price of $317 per square foot, based on listings with 3.4 bedrooms, 2.4 baths, and 1,021 square feet of living space. Selling or buying a home in Albert Park/Radisson Heights Calgary soon? Call Justin Havre at RE/MAX First - 403.217.0003. 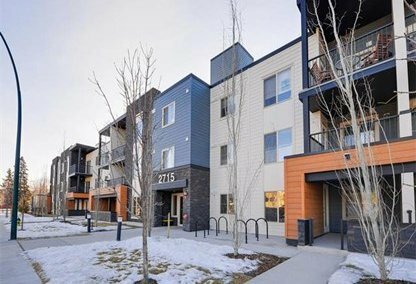 Our community of Albert Park/Radisson Heights real estate agents will help you navigate the Albert Park/Radisson Heights housing market in Calgary. Established in 1910, the Albert Park/Radisson Heights community is named after Albert Smyth. Together with his partner Mr. McCullough, they planned and advertised an exclusive neighbourhood with several amenities. In 1912 the business partners came up with a scam to entice potential home buyers and speed up the sales that were lagging due to poor transportation in the area. Railway ties were laid to the town of Forest Lawn and they started a rumor that a streetcar was to be built. The scam was discovered and the developers disappeared. As a result, development of the community became erratic. Albert Park real estate developed between 1908 and 1950, while Radisson Heights properties started developing shortly after Albert Park was annexed in 1960. 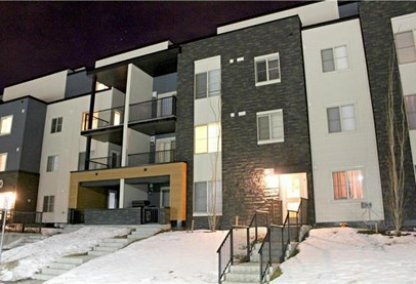 Condominiums and apartments make up approximately 40.2% of the homes in Albert Park/Radisson Heights while 58% of the housing is being rented out. The Albert Park/Radisson Heights neighbourhood has plenty of open space and easy access to shopping and other major amenities. They have a community centre that contains dartboards, a kitchen, snooker and shuffleboard tables, and a big screen TV. Another popular hangout run by the community association is the Skate Shack. It houses video games and a pool and foosball table. There are both public and separate schools in the neighbourhood. Wi-Fi internet service became available to residents of Radisson Heights in 2006 when they became the first community in Calgary to have its own Wi-Fi internet service. The service is managed by West Net Wireless. Thinking of buying or selling a home in Albert Park/Radisson Heights Calgary? Let our local real estate agents help guide you through the purchase of your next property, or to professionally negotiate the sale of your current home. As local Albert Park/Radisson Heights real estate agents, we're experts on the market dynamics unique to the Albert Park/Radisson Heights real estate. We'll get to work today! Contact Justin Havre at RE/MAX First - 403.217.0003 to learn more about buyer or seller representation. Planning to sell your Albert Park/Radisson Heights home? Check out our home evaluation tool, where you can instantly view Calgary Homes Values online!